“All the major cruise lines are looking for the digital revolution. There’s a lot of effort in gathering information and making smart decisions on how we will use the technology. 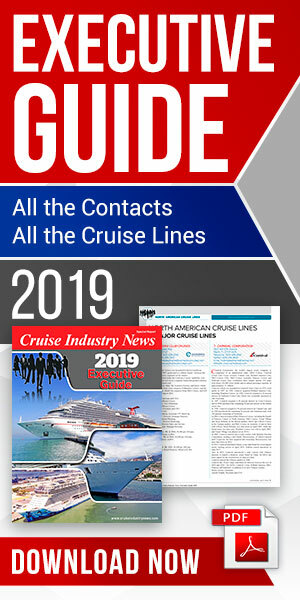 We are focusing on how do we make the experience easier for the guest,” said Reza Rasoulian, vice president of global connectivity at Carnival Cruise Line. Carnival, on a corporate level, is also working on improving its connectivity, most recently setting a bandwidth record on the Regal Princess. “One of the conscious decisions we continue to make is that we are not standing still. We want to continue to evolve. Social media apps are changing over time, so we need not only to optimize our approach, but to continuously invest in infrastructure and solutions to create the experience,” Rasoulian noted. The company has moved to unlimited internet packages, priced on a per-day or per-cruise level. “We started three-and-a half years ago to move towards open plans and voyage length plans not limited to minutes or megabytes. That proved to be very successful because we could see the friction and optimize the satellite bandwidth,” he said. Will there be a move to free Wi-Fi? “We know that there are cruise lines offering it now. But the ships are small, 300 guests, so that’s a whole different equation. Scale is a factor, but we need to provide a situation where there’s no friction. Maybe it will happen in five or 10 years as a collaborative process,” said Rasoulian. Looking to the future, Rasoulian believes that the cruise lines still have much to do regarding technology. “From our perspective there’s so much to do. It’s a continuous circle of innovation. We look at what has the most impact on our guests and crew. If we can connect the dots and there’s a good business case we will work on that”.